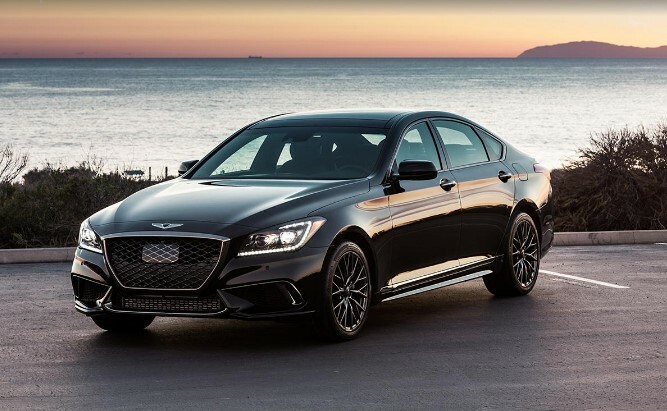 The ongoing Genesis G80 has been actually released back in 2013 as the Hyundai Genesis. Since then the car didn’t change much despite the fact it received an update last year. In order to spring new life into it they decided to release an entirely new trim level. 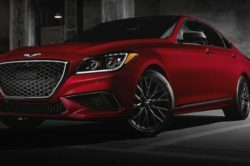 A few days ago the 2018 Genesis G80 Sport has been revealed. Despite its name, the car isn’t the fastest in the lineup. 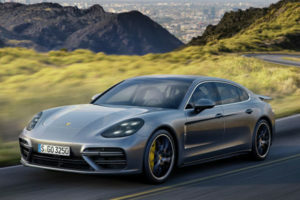 However, it is the model that comes with the most amount of sporty features. Over the regular models the Sport gets a different running gear setup as well as a revised look. 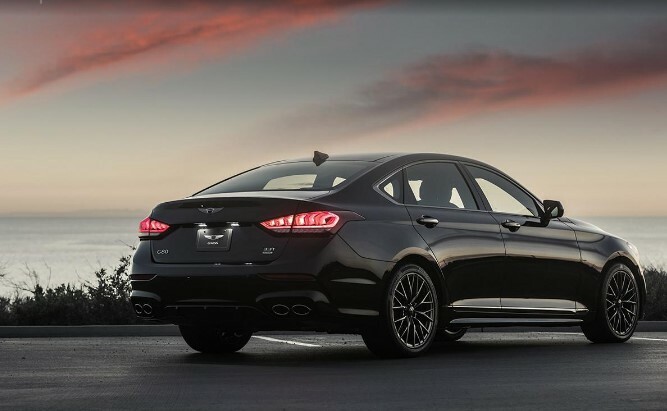 The end result is one of the best value for money sedans on the market. 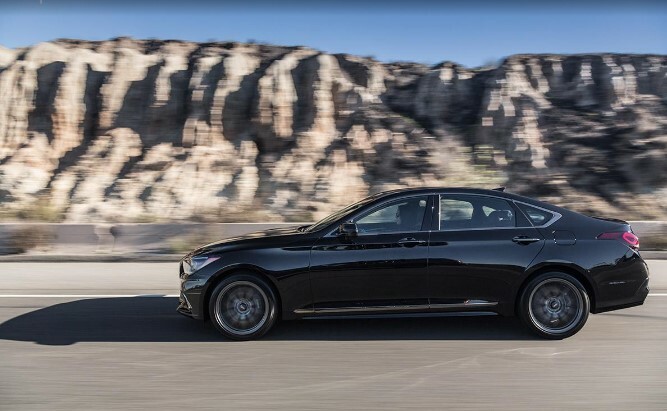 Hyundai set the price for the G80 Sport at $56,225 which is quite a bit more than a base model. However, the car also comes with a lot more gear on top of the sporty features which are well worth the extra money. 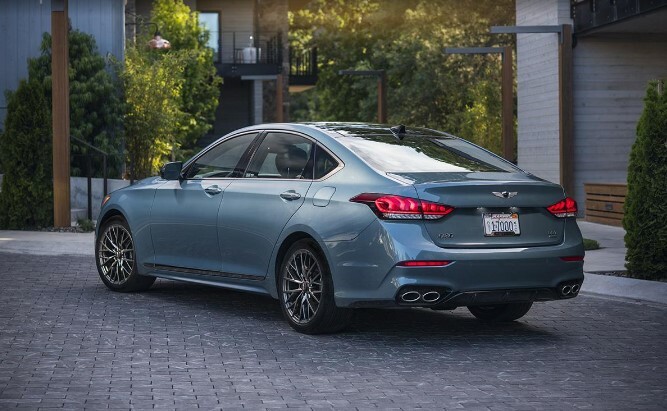 The Gensis G80 is based on a rear wheel drive architecture just like most of its rivals. 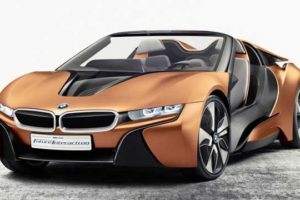 However, unlike its rivals, the car doesn’t cost an arm and a leg. You would expect a cheap car like the G80 too miss a lot of features. However, this is not the case. 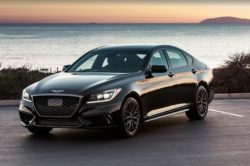 In fact the Genesis G80 is usually better equipped than any other car at this price point making it one of the best choices for those not interested in the badge on the hood of the car. 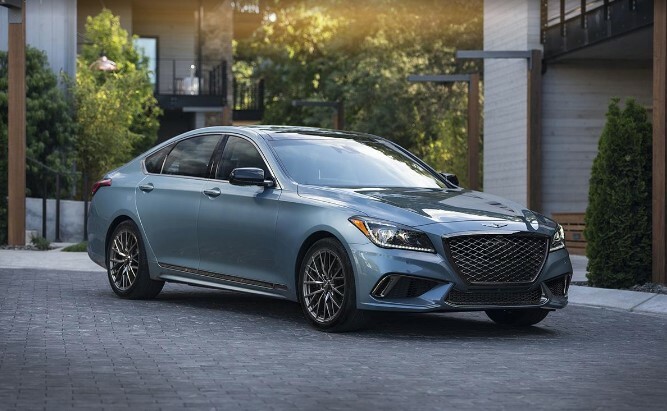 Some of the largest upgrades on the 2018 Genesis G80 Sport have been made on the outside. The car not only feels sportier but it also looks mildly sportier too. This has been achieved with the help of a new bumper with triangular intakes and a small splitter. The grille is also all new featuring a honeycomb mesh design that really stands out. On top of that all the chrome on the outside has been replaced by subtle copper inserts which really do make the car pop. 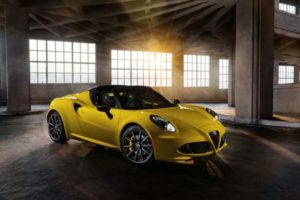 The wheels boast a new multi-spoke design and for this particular model have been wrapped in higher performance tires than usual. 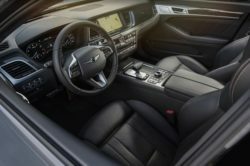 Standard features include a 360 degree camera system, a large touch-screen infotainment system which can also be operated via a rotary knob as well as real leather upholstery. While the design on the interior didn’t change a bit and the aluminum inserts are still present, all the wood is now gone. In its place Genesis decided to install real carbon fiber trim which makes it the only car at this price point to boast real carbon fiber. 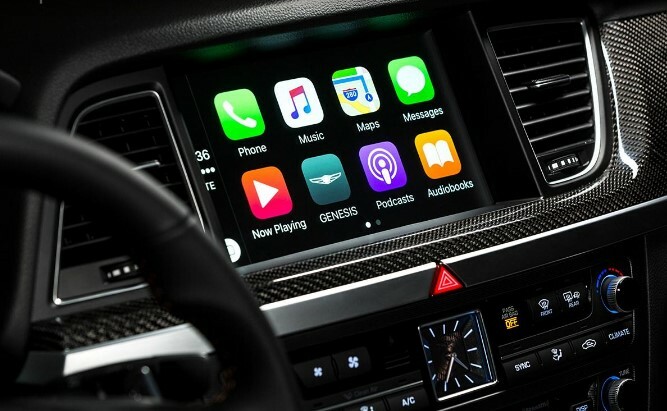 This not only elevates the quality inside but it also shows how much care Genesis put into their car. 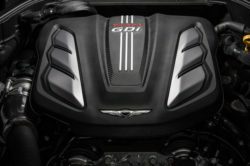 The 2018 Genesis G80 Sport can only be had with the 3.3 liter twin-turbocharged V6 gas engine. 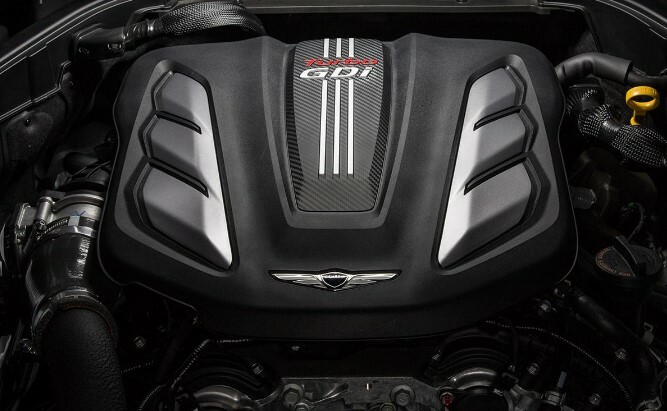 This is good for up to 365 horsepower and as much as 376 lb-ft of torque from 1,300 all the way up to 4,500 rpm. 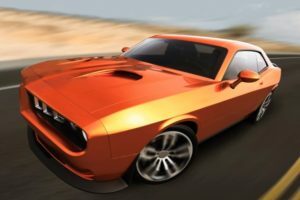 While it is not the most powerful engine out there, it complements the rest of the car nicely. 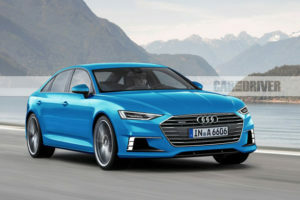 With the sharped steering and the revised ride, the car will easily feel like one of the better luxury sedans on the market. The engine sends all the power to either the rear or to all four wheels. It is worth mentioning that the AWD version is 200 pounds heavier which is quite clear in terms of performance. The only available transmission is the same 8 speed automatic as before so no changes here. 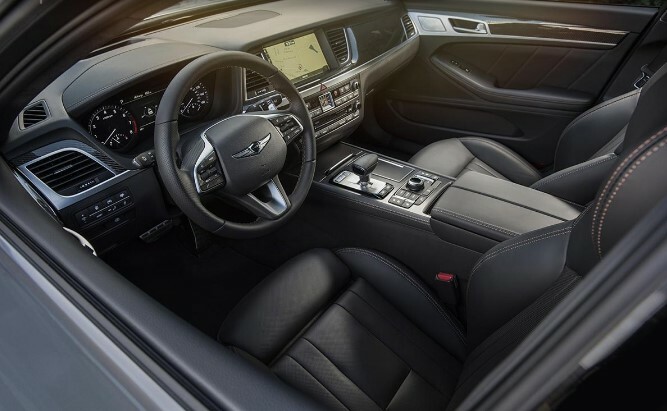 The car manages to perform quite well for this amount of power and it manages to not ruin the comfort of its passengers for the sporty bits Genesis threw into the mix.